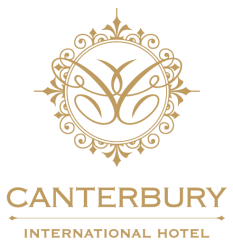 At Canterbury International Hotel we have one goal, to make your wedding as unique and special as the love you have found in your partner, so sit back and imagine………. Your guests are being taken care of with canapes and beverages as you and your partner spend time with the photographer, capturing your special moment, freezing it forever in time. You walk hand in hand with your loved one through the grand entrance at Canterbury International, with its natural light and elegant chandelier. As you walk slowly down the grand hall trying to savour every moment of this magical day. You pause for a moment at the entrance to the Grand Ballroom, you hear the master of ceremonies announce your arrival, “please welcome Mr and Mrs………” Your breath catches slightly as you turn to look at the person you have pledged to spend the rest of your life with, you are filled with an immense sense of joy, love and anticipation for your new life ahead. The door swings open and you enter the beautifully decorated Grand Ballroom, to a standing applause from your friends and family. Your friends and family settle and you take your places at the head of the bridal party, to enjoy a beautifully designed three course menu and a selection of beverages. The speeches are done, your best friends have embarrassed you and your family has made you a little teary. The master of ceremonies announces that it’s time for your first dance as a married couple. Your friends and family form an intimate circle around the dance floor. You rise from your seats and the crowd parts as you walk arm in arm toward the dance floor. Standing in the centre of the room, gazing into the eyes of the person you are going to wake up to for the rest of your life. The band begins to play your song and you are transported back to that magical first kiss, as you effortlessly glide in unison across the dance floor. As your song ends your bridal party begin to join you, and then your family and friends all join in to dance the night away. As the night begins to wind down, you thank your family and friends for sharing your special day. You walk upstairs to your luxury suite a Canterbury International Hotel. Finding an intimate space to end your day with flowing sparkling wine and luxury Chocolates. You wake the next morning to begin the rest of your life together with a full breakfast for two.